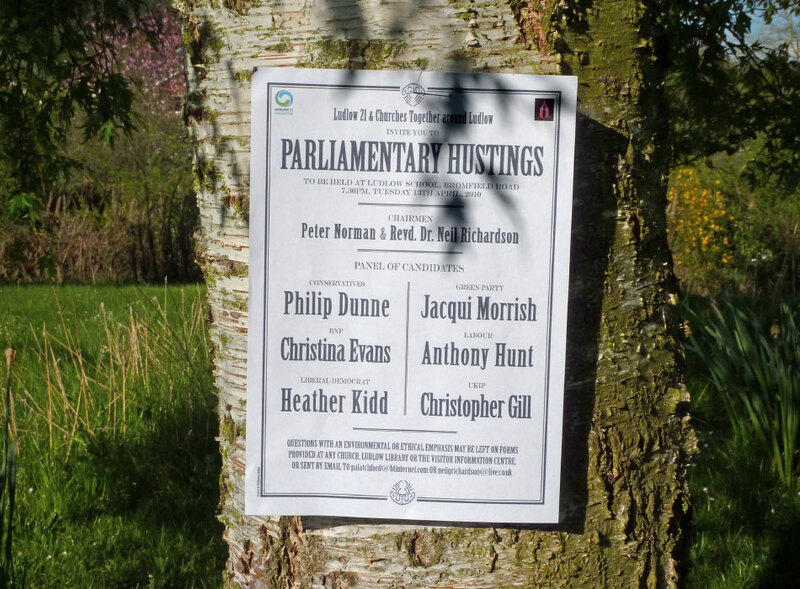 Just before the recent General Election I was asked to put a poster together to promote the hustings for Ludlow. Around 400 people turned up to see what the candidates had to say, and the rest is history. June 7, 2010 | Filed under Uncategorized.